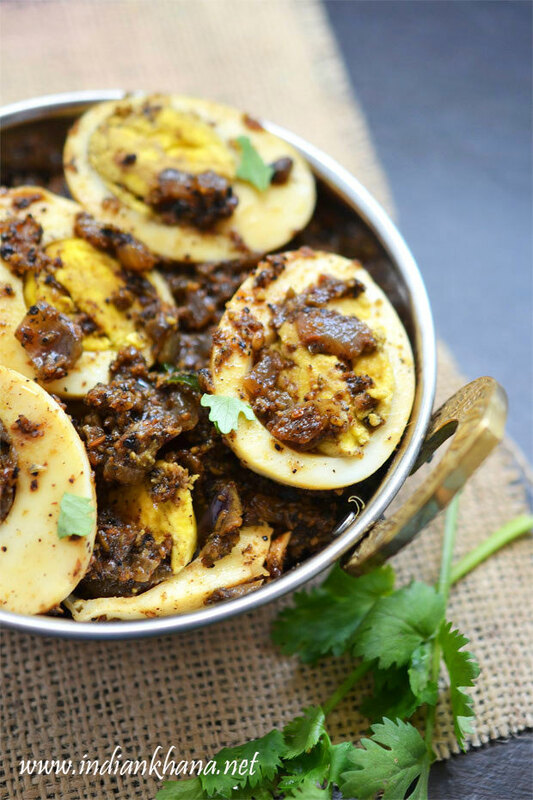 I mostly make egg in curry so it's easy to have comfort lunch without much of work ;) and if egg will be as side dish then it will be either egg bhurji or omelette as those two are easy recipe and quick. 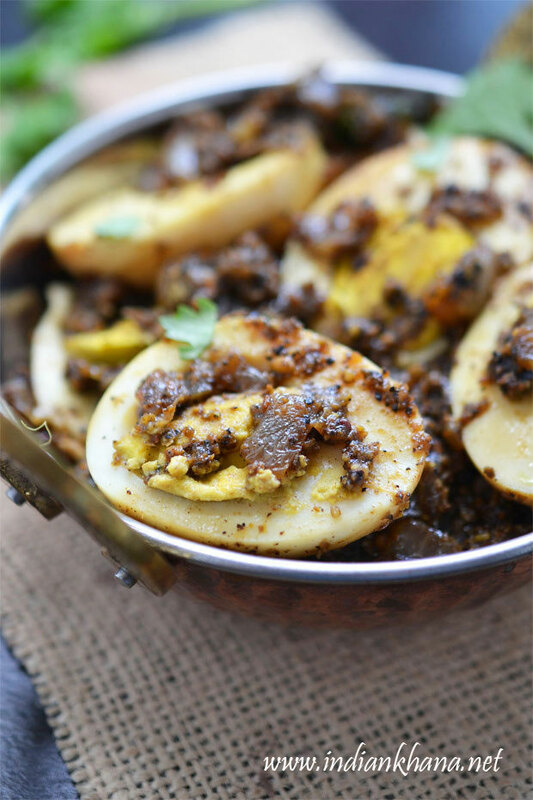 This best pepper egg fry is super spicy with flavors of pepper corns, coriander seeds, fennel seeds and cumin seeds it's really wonderful but you don't eat spicy food then reduce pepper quantity and still enjoy this flavorful egg pepper masala. I made this over weekend after all the navratri and diwali food something spicy and easy was required and of course a break from vegetarian food for my brother ;) so along with this egg pepper fry I made tomato rasam, drumstick sambar and beetroot poriyal/stirfry, a complete South Indian lunch affair. 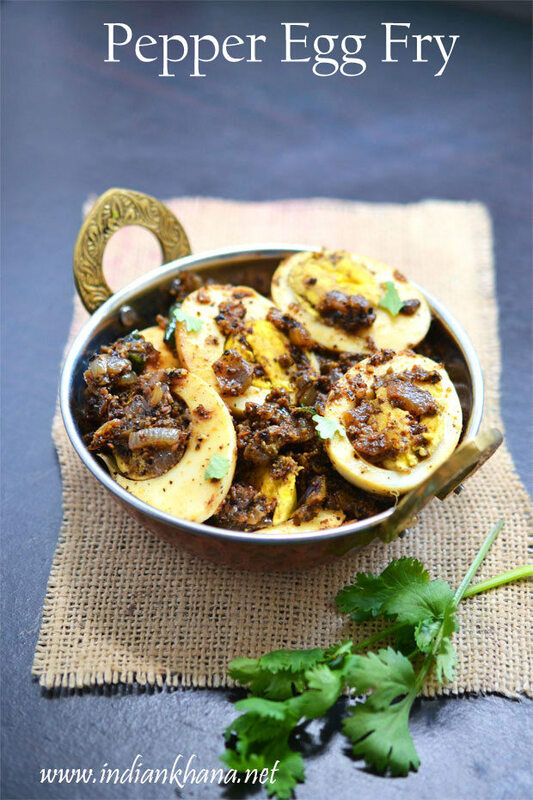 Anyone was waiting for lunch which was already delayed so I just quickly took the pictures in hurry without much setup though I wanted to add the full lunch in pictures but anyways make this easy egg pepper fry or mutthai varuval and enjoy. Spicy egg roast with freshly grounded pepper and spies. Hard boil eggs either boil water, add eggs and cook for 8-10 mins in medium flame or pressure cook for 1 whistle. Once done add eggs to normal water and set aside for cool, make a small crack using knife or any other object and remove the egg shell, cut the eggs vertically set aside. While the eggs getting cooked, heat a pan and dry roast all the ingredients listed under 'To Roast and Grind' until light brown and aromatic, allow to cool and grind in to coarse powder. Heat oil in a pan or kadai add hing, mustard seeds and allow to splutter. Add onion, curry leaves, ginger-garlic paste and saute until onion becomes soft and golden brown. Add powdered pepper spice powder, garam masala mix well and fry in medium to slow heat for a min. Add 2-3 tbsp water, salt, add the eggs gently cut side down, cover and cook for 2 mins in medium flame. 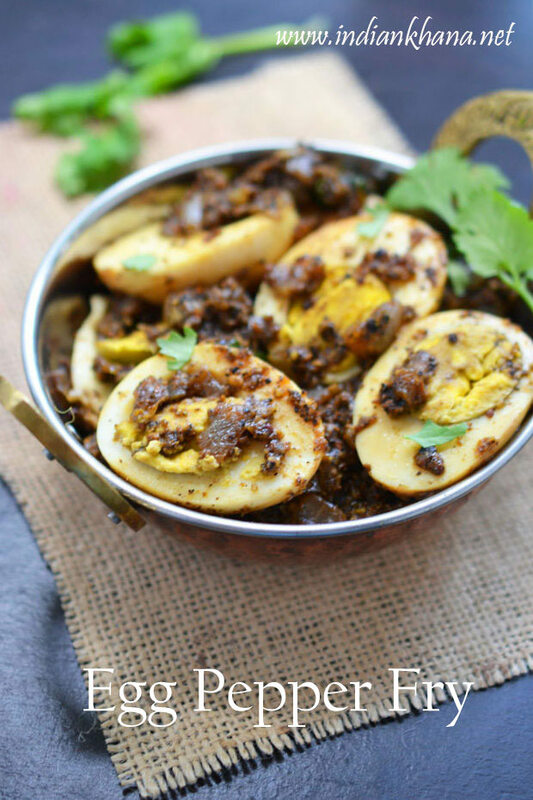 Open pan, gently turn the eggs and add another 1-2 tbsp water, cover and cook for 2-3 mins or until masala becomes fry, garnish with coriander leaves and off flame. Serve hot with roti or rice along with rasam it's wonderful combo. 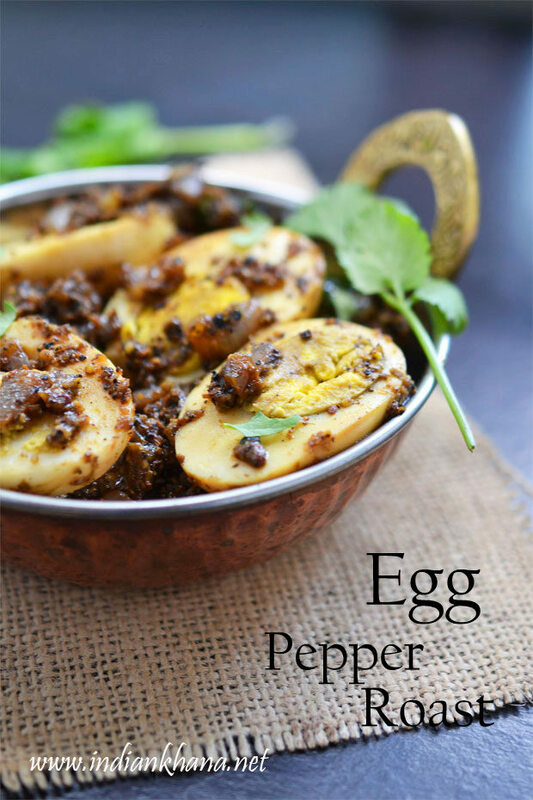 This egg fry is really spicy so adjust pepper to suit your taste. Adding freshly ground pepper spice mix gives best result. Roast the pepper masala well to remove rawness smell. 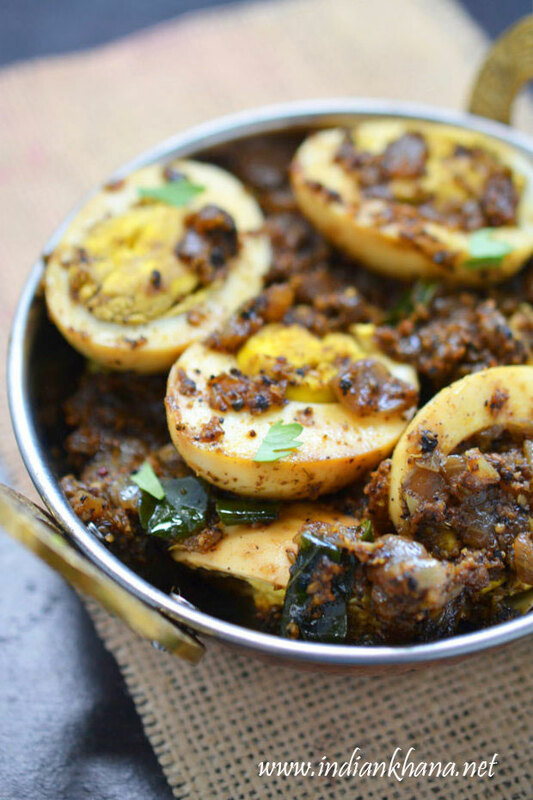 Delicious and spicy egg pepper fry.